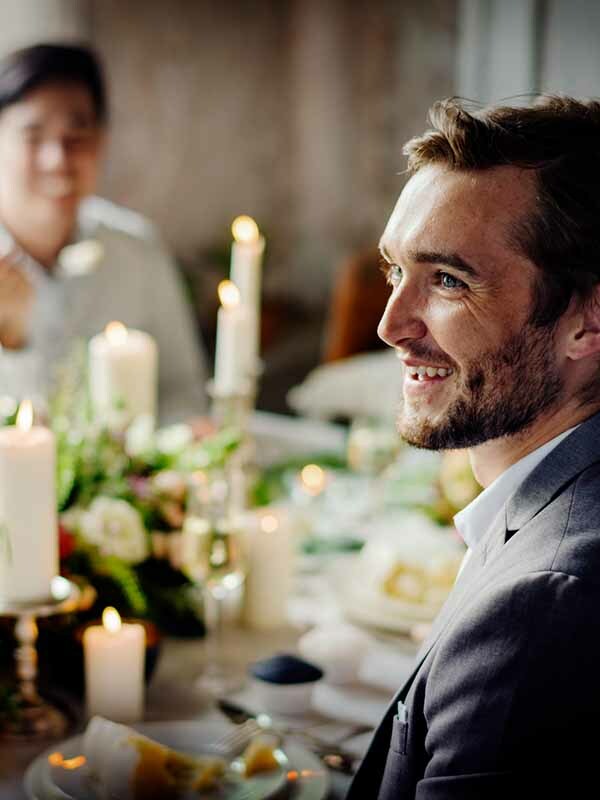 When you realize you want to spend the rest of your life with somebody, you want the rest of your life to start as soon as possible and our specialist events team at Ilita Lodge is here to make sure your special day exceeds what you have always dreamed of. 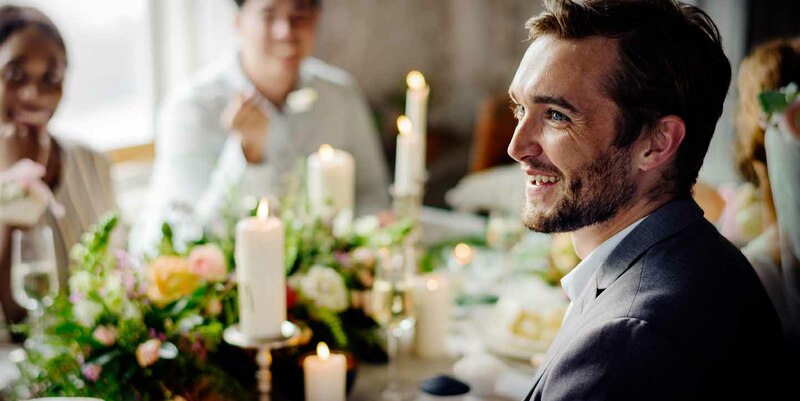 Set amongst the pine forest and Fynbos gardens, our intimate and warm venues can be transformed into the perfect space for your special day. 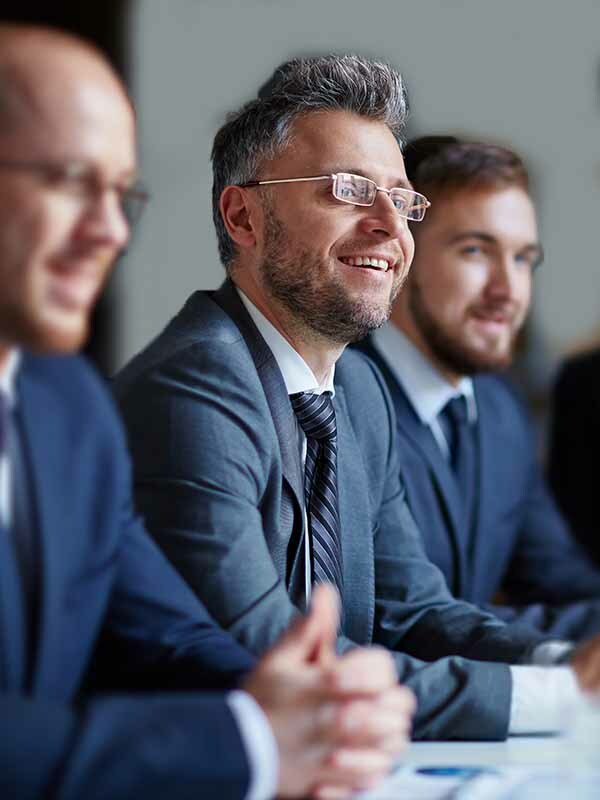 From start to finish Ilita Lodge can host the entire event with bespoke packages designed to meet individual needs. This rustic facility includes seating for 80 guests on beautiful white chair covers and a red carpet down the aisle. Should you wish to use another colour, please note that this will be for your own account and must be discussed with the Ilita team before the event. Also, should the existing decor of the Chapel not suit your event then please feel free to incorporate your own personal decor. Included: Chairs, Red carpet, Podium and Register table. After the ceremony, guests can be treated to drinks and canapes on the viewing deck whilst enjoying spectacular, panoramic views of the bay. 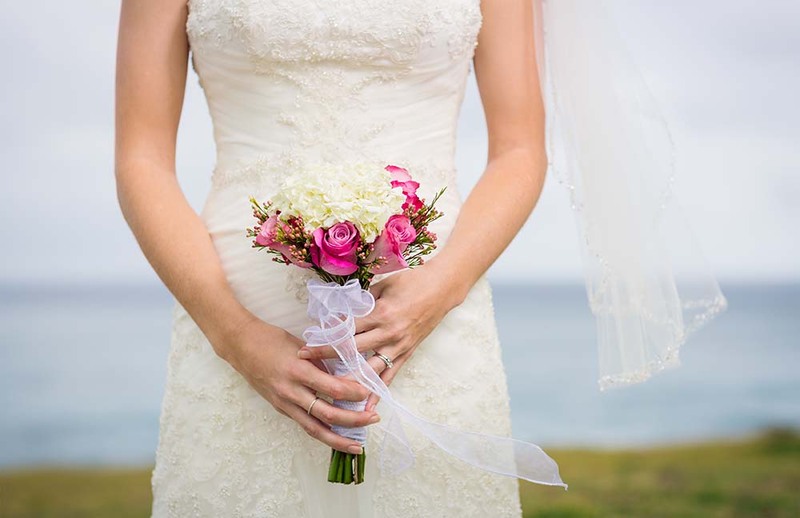 This provides the perfect opportunity for the bride and groom to have their photographs taken in our beautiful gardens, on the deck at the dam, in our very own pine tree forest for a more rustic look or even down on the beach which is 10 minutes away. 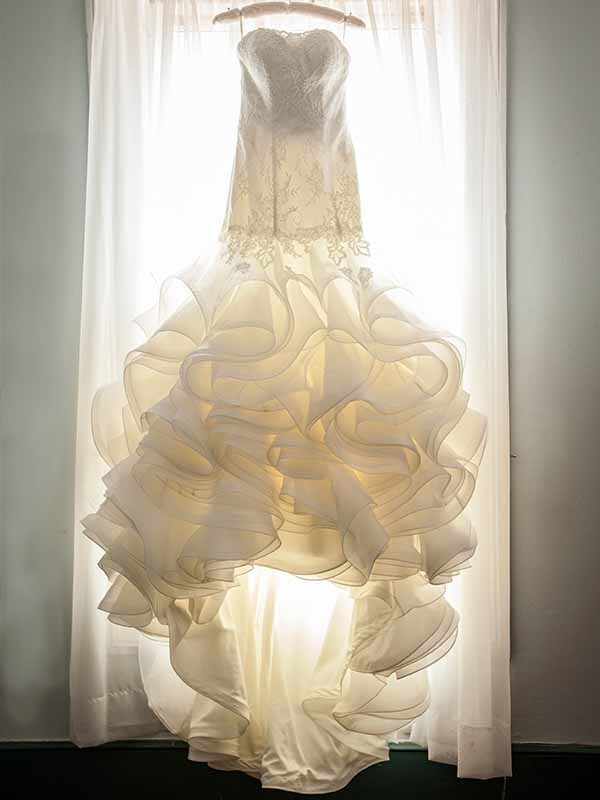 Included: Non­alcoholic welcome drink, Canapes, Waitrons and Facilities to play background music. 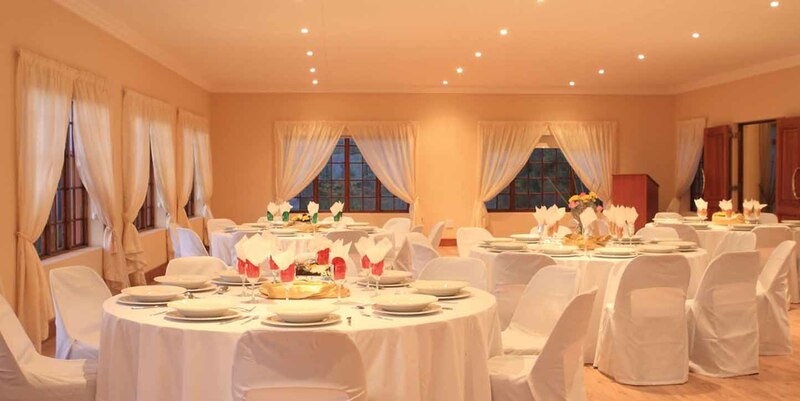 The lapa is fully equipped and ideal to host any function from buffets to spit braai’s. 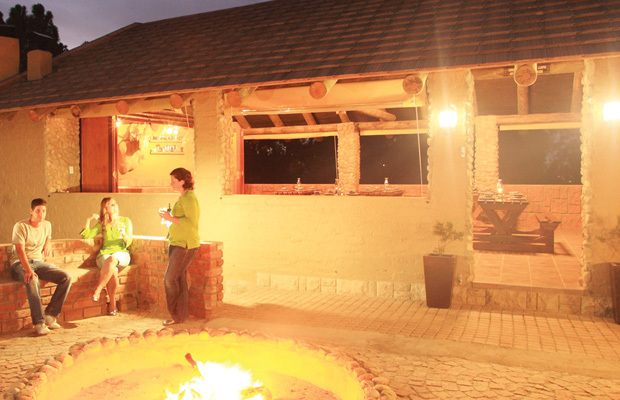 Relax and enjoy a typical South African evening under the stars while enjoying your favourite glass of wine around the Boma. The dining room within the lodge hosts business breakfasts, lunch or special family celebrations. The dining room can seat up to 40 guests. Perfect for any special occasion including weddings, birthday parties and anniversaries. 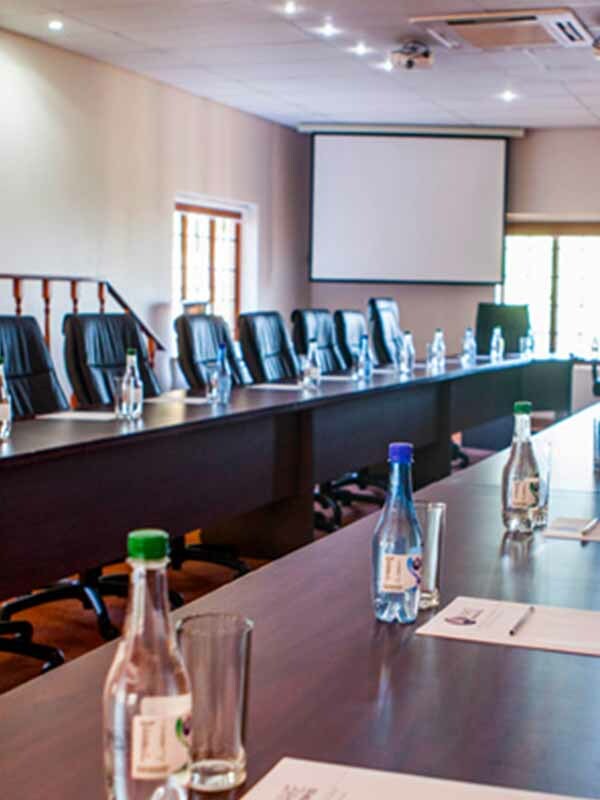 Also an ideal venue for hosting corporate events and larger conferences. 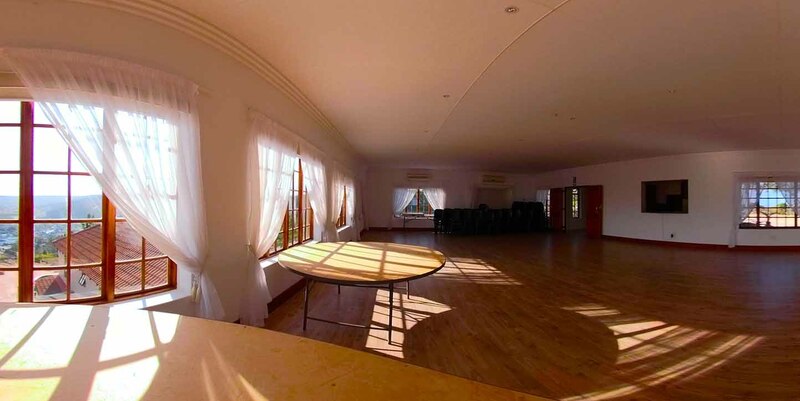 This beautiful hall, seating up to 100 guests at round tables, is the perfect space to celebrate life and love. 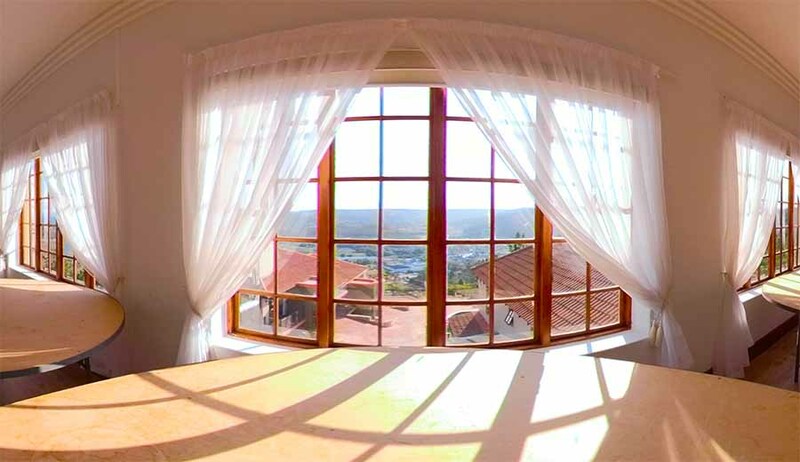 Between courses, guests can enjoy a stunning view of the Great Brak village from the balcony. After the speeches tables are moved to open a dance floor to start the party. Included: Round Tables and Chairs, Main table for Bride and Groom, Cutlery and Crockery, Glassware and 2 ply serviettes. Manager, bartender waitrons and Kitchen Staff, Table Cloths and Chair Covers, Serving station for buffet style meals. Main table for bride and groom. Glassware and 2 ply serviettes. Manager, bartender, waitrons and kitchen staff.